This has to be the best sleeping bag I've ever used in every respect. Phil Newby, registered BAIML International Mountain Leader. Ultralights for the mountains are the first words we put to the Hispar sleeping bags and it's hard to find a better way to describe them. Starting with our superlight MX inner fabric and the pared-down design features of the Minim range, we have added some of the extra elements from the Baltoro/Diamir bags to bring these new bags up to mountain specifications, while keeping weight to a minimum. A short zip with a double draft tube is standard on these bags (a zip is necessary with a mummy hood). Side block baffles have been inserted to prevent down shifting between top and base. The weights of the Hispar bags are graphic evidence of the effectiveness of this specific design. 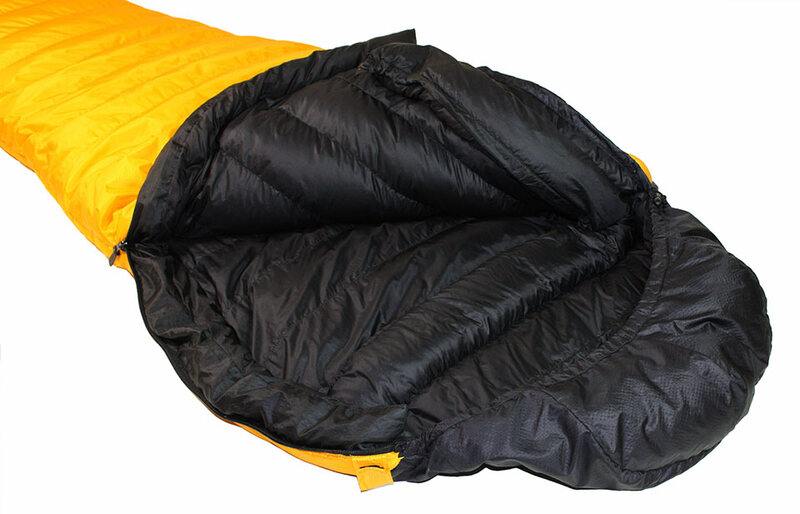 With the performance of our 950 down these bags deliver exceptional levels of warmth per gram. Picture shows Hispar 600, Hispar 400 is slimmer. 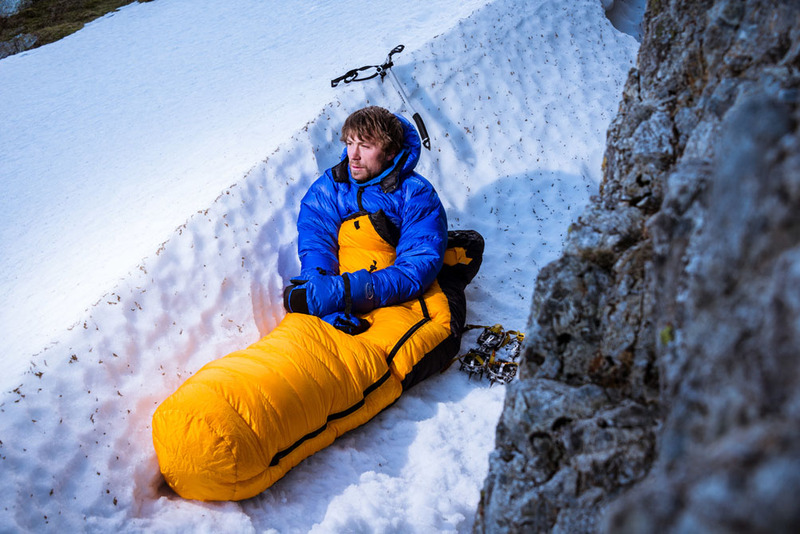 "This has to be the best sleeping bag I've ever used in every respect. It weighs 770g and its warm as a very warm thing (good to -9). 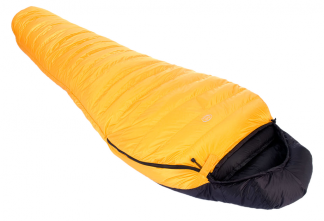 It's not cheap but then you get what you pay for when it comes to sleeping bags. PHD are a very small company but they beat the socks off the big guys." — Phil Newby, registered BAIML International Mountain Leader. "I can honestly say I've never slept better whilst camping, even in the warm! I have already recommended your sleeping bags to a number of people. Many thanks for helping make my trip so special"
— Andy Ladd, Iceland. 5 nights at -20C. "I'm over the moon to say the least. The build quality is excellent and I'm picking the bag up every hour to try and convince my brain that it actually is that light. Consider me a totally satisfied customer, please pass my thanks on to the team." "I am absolutely convinced about the fantastic quality of your product. It was amazing not to worry about the cold at any time." "I have a new Hispar 400 which is proving to be very good indeed." "In September, I had the opportunity to use my Hispar 400 bag in Iceland. The bag was so warm that I didn't need to close the zipper!" 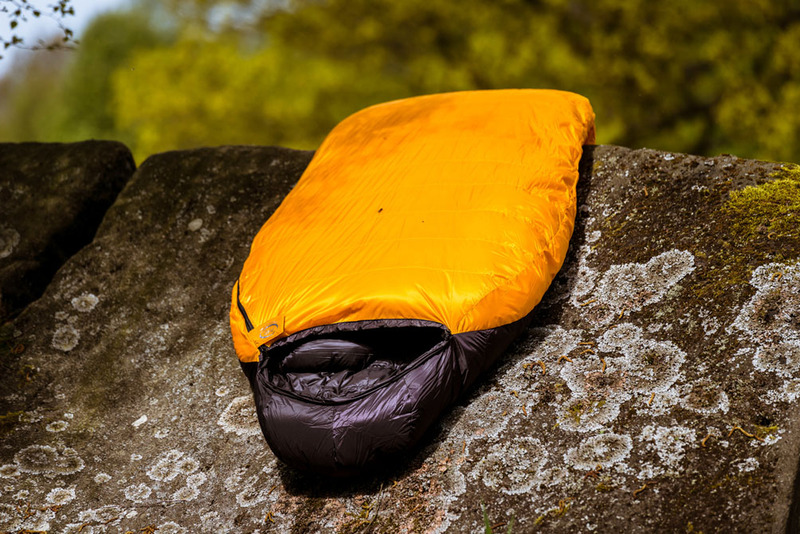 "Having ordered a Hispar from you last month and testing it wild camping in North Wales to around -2 degrees, I have to admit that the bag is brilliant! I was toasty while my climbing partner shivered! Thank you for the excellent gear and hopefully my down jacket will be falling apart soon so I can justify replacing it with one of yours!" 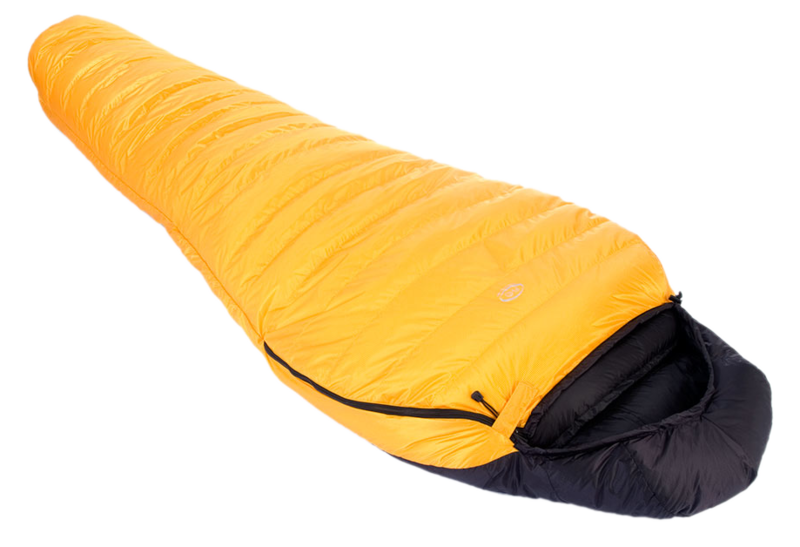 A climbers' down jacket at the limits of lightness. Even with chest pockets and the optional helmet-sized hood, it's lighter, warmer and packs smaller than fleece. Now also available in custom sizes.